This element type is the one that loves to destroy and then rebuild everything from scratch. Yin Fires can be incredibly useful people – perfect for restarting things from the beginning – or solving any problem with great speed, as they automatically clear everything out of the way to create something new. If they can’t be their positive selves, they’ll destroy everything in their path – like a forest fire. Yin Fire people are very brave and can be reckless when pursuing their goal. The best career for these types is one where they can be creative and powerful. They can also be flexible and work in many different areas. Yin Fires can cover everything from being a leader to a problem solver; they have a large capacity to do many things, and also achieve a lot outside their work world. 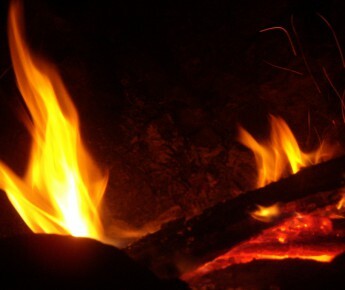 Yin Fire is represented by the candle, log or forest fire is of this earth and has reality. When the Sun – Yang Fire – is strong Yin Fire is weaker. Yin Fires are realistic, aggressive and social and can handle pressure. When they extinguish, they can re-ignite. Earthly burning fire, I can meet you at any turn. You are born from the wood that feeds you and creates rich ashes of the earth. Destruction and creation, your inseparable nature. Cuts sharp its path without hesitation or pause. We cannot resist your many charms. Behind you we follow, walking the ruthless path you have set forth. And under our feet, we uncover the signs of new life. Supportive elements: Yin Wood and Yang Wood. Non-supportive elements: Yang Earth, Yin Earth, and Yin Water. Famous people: Tony Blair, Jimmy Carter, Boris Yeltsin, Gary Oldman, Tom Hanks, Rowan Atkinson, Glenn Close, Emma Thompson, Vanessa Redgrave, Kate Moss, Eddie Van Halen, M.C. Hammer, David Bowie, Joan Baez, Janis Joplin, Johnny Cash and Jerry Springer. Would you like to learn more about Yin Fire element? Check our Talent Hero website.